SHANGHAI (Reuters) - China's e-commerce giant, Alibaba Group, has been fined 800,000 yuan ($129,000) by the price bureau in eastern Zhejiang province for violations by third-party sellers during promotions on its e-commerce platforms. Since Alibaba turned "Singles' Day", a November 11 Chinese response to Valentine's Day, into an online shopping festival in 2009, the event has grown to similar proportions as Cyber Monday and Black Friday in the United States. Sales of more than $9 billion were achieved at last year's event, and the company has copyrighted the phrase "Double 11", a reference to the date (11/11), which in turn, refers to the status of single people. "The company has been fined 500,000 yuan ($81,000) for matters related to Singles' Day pricing by third-party sellers on our Tmall marketplace in 2013 and 2014 and 300,000 yuan($48,000) for pricing in other promotions in 2013 and 2015," Alibaba Group said in a statement on Friday. While pricing is handled by third parties, not directly by Alibaba, the group said, it would nevertheless reinforce pricing rules and regulations with sellers to protect consumers. The 27,000 vendors featured on Alibaba's Singles' Day shopping sites hope to boost sales and gain customers, but some have complained that discounts and cut-throat corporate rivalry undercut the benefits. 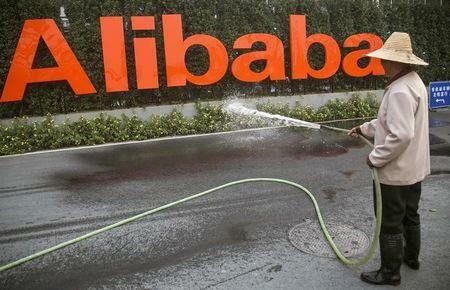 Alibaba has had occasional difficulties regulating its sprawling e-commerce empire, which now includes online markets such as Taobao; Tmall, a platform for larger retailers linked to Taobao; group-buying site Juhuasuan and the original flagship platform Alibaba.com, which links exporters with foreign buyers. In 2011, Alibaba.com was hit by a scandal when sales staff colluded with professional criminals to defraud foreign customers, leading to multiple arrests and the resignation of then Chief Executive David Wei. Alibaba was also publicly chastised by regulators for failing to control the sale of counterfeit products on its platforms, an accusation echoed by trade groups and regulators in the U.S., where the company is listed. In February Alibaba said the U.S. Securities and Exchange Commission had sought more information about a reported talk between its executives and China's State Administration for Industry and Commerce regarding sales of counterfeit goods, which the company did not mention in its IPO prospectus prior to listing. Alibaba shares have lost more than a fifth this year, with analysts citing concern about counterfeits along with lackluster third-quarter earnings and waning investor excitement after last September's record-setting $25-billion IPO.